Home / Tourism / Want fun and interesting to celebrate the New Year in Thailand - we'll tell you how! Want fun and interesting to celebrate the New Year in Thailand - we'll tell you how! 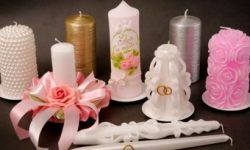 New Year in Thailand: traditions and celebrations. 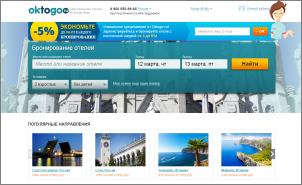 Where to go on an excursion, in which hotel to stay? Reviews from experienced tourists. New Year in Thailand can be noted three times: 31th of December - European New Year, then the Eastern calendar (Chinese New Year) - 10 February, a April 13th - Thai. This is a wonderful country, where everyone will find what to do. Thailand is a hospitable host, which welcomes tourists from all over the world. This exotic country is full of wonders and surprises, that's why everyone should visit here! How is the traditional Thai New Year? Douches. Although from the simple watering of cups, this tradition has long turned into pouring all those with a hose. But in this case, no one is against, on the contrary, everyone is having fun and rejoicing that the water will bring happiness to the batted and wash away all the bad. 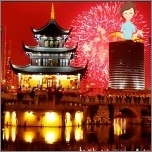 A special influx of tourists falls precisely on timeCelebrating the New Year on December 31. Our European New Year for the inhabitants of Taya used to be of little importance, but thanks to tourists this holiday became very popular among them. And the Thais organize everything in the highest category. How is it interesting to celebrate the New Year in Thailand to Russian tourists? 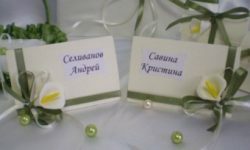 Russian tourists may Celebrate the New Year in the hotel with a festive program, dinner and translation of Russian channels, So you can even listen to the president's congratulations and the chimes. Then you can Move to one of the many nightclubs, restaurants, bars or cafes, Each of which has its own individual celebratory program. Only not everywhere you will be allowed, because often you need to book a place in advance. An excellent option will serve Small restaurants by the sea, Where the tables are right on the beach. Table on the cruise ship on the river Chaopraya, Of course, you will like. In addition to the main New Year's program, which includes wonderful music, dinner and entertainment, you can enjoy the fabulous atmosphere and admire the beautiful views of this wonderful country. You will not lose if you decide Meet the New Year with a lot of people, Wishing to count and spend the seconds of the outgoing year. Such mass festivities usually take place near the largest shopping centers. Grandiose fireworks are included in the mandatory program. 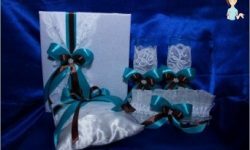 In the days of the New Year holidays, Fascinating shopping, You will not find such discounts anywhere else. A rich excursion program will very please you. All the splendor of the country will appear before your eyes. 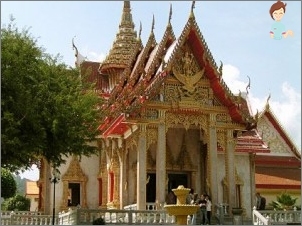 The largest list of excursions is in Pattaya. Where can I go on New Year's Eve in Thailand? Tours and excursions. In Thailand, there is no concept of "seasons". Average Annual temperature Here - 27-30 degrees Celsius. Just have small weather peaks. So in April-May - the hottest weather, from June to October - frequent rains, and from November to February - the coolest time. This period is the most popular for visits to this country. Bangkok. From this resort, it's worth starting to get acquainted with Thailand. Bangkok is not easy The capital. This city is more like Gate to a fairytale country. He appears before tourists in fullMagnificence. Is able to both delight and surprise. It is easy to get along with poor huts next to modern giants skyscrapers, narrow alleys along the highways, wealth with poverty. To go to Bangkok is not only for the sake of Explosive parties, But also in order to discover more About culture This amazing country. In Bangkok, around 400 temples, Concealing a lot of amazing. In addition to the temples, royal palaces are very interesting for visiting. One of them is located on the island of Rattanakosin. Excursions are very popular in temples and palaces. 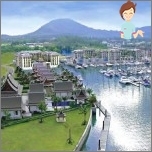 You can also visit Floating market Damnenonsaduak or Rose Garden. 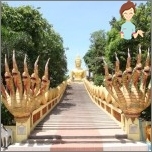 Dream World Park or Ayutthaya - the ancient capital of Thailand. Pattaya. 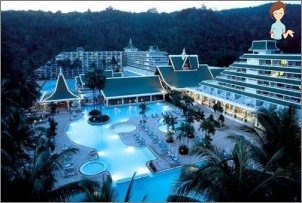 The most popular resort of Thailand. Tourists come from all over the world. 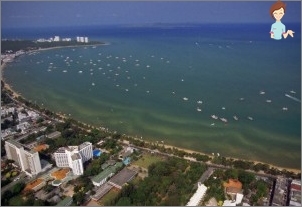 They love Pattaya for the mild climate and calm sea. Also very developed here leisure - diving, bowling, tennis, crossbow and bow shooting, visit Crocodile farm or Tropical garden Nong Nooch. In addition to active leisure in Pattaya, it is simply boiling Bright night life, The variety of which just turns his head. All of Pattaya extends along the coast. Central zone, Full of different shops, restaurants with traditional Thai cuisine and nightlife - discos, bars and nightclubs with amazing show programs. South zone Is the Jomtien beach area. Northern zone - this is the area of ​​Na-Klua beach. The southern and northern parts are more quiet andComfortable. They are ideal for water skiing and skiing. Very convenient here is also just to swim or fly on a paraglider. 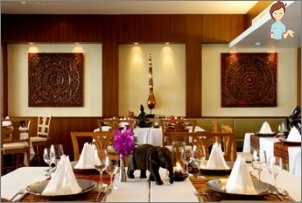 In these areas, there are many coastal cafes, in which they cook exquisite delicacies in the style of Thai exotics. At any time of the year, because even during the rainy season, here they are only at night. 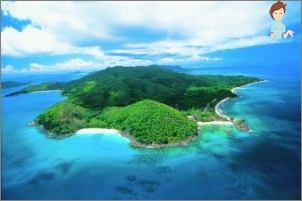 Phuket consists of four resort areas - Karon, Kata, Laguna and Patong. 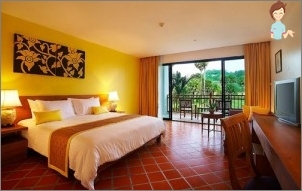 For fans of parties is especially suitable Patong, and for solid tourists, fans of elite rest is ideal area Kata. The popular beach is Chaweng. Its hotels stand along the sea line. Each hotel has one outlet to the beach, and the other to the main street, which is full of entertainment. For example, Discos "Green Mango" and "Reggie Pub". If you want to relax on a quiet and tranquil beach, then you can advise to visit the coast of Bang Por or Mas Nam. Be sure to visit the waterfalls of Hin Lad or Muangwa in the tropical zone. Samet. 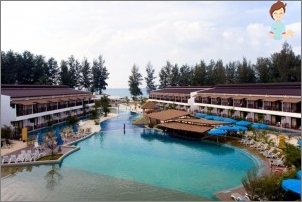 Another one A resort for fans of a quiet and secluded holiday, Located 80 km from Pattaya. Its other name is "The Island of Lovers". Instead of hotels there are romantic bungalows, fully equipped for comfort. The whole island is a national park. 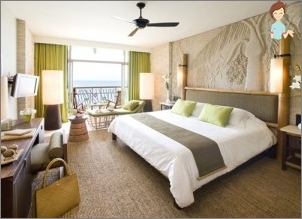 This hotel is five-star, it is located near two beaches - Wong Amat and Naklua, In North Pattaya. It is built on 18 floors. It consists of 555 rooms. Great view of the ocean. The hotel has a direct access to the beach and a large water park. Ideal hotel for a great holiday and a New Year's Eve. In addition to several restaurants, there is also a trendy bar and a dining room, which is open throughout the day. 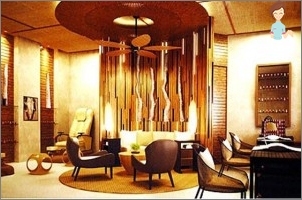 Will please you and the personal SPA-center, swimming pools and exciting water playgrounds in the water park. 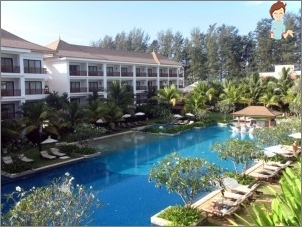 This luxurious hotel complex is built on the tropical west of the island Phuket. Located on 40 acres of landscaped gardens,45 minutes from the airport. Service at a high quality level. Rest at this hotel will seem to you truly royal. 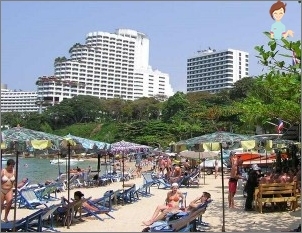 The hotel has its own beach Karon Noi, and just 5 minutes walk one more - Patong-Beach. 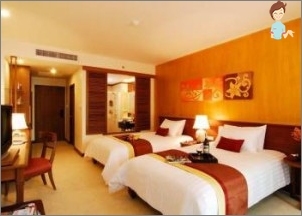 The hotel has 470 rooms, which are decorated in a style that creates a sense of home comfort. The rooms have everything that you can find useful in everyday life. 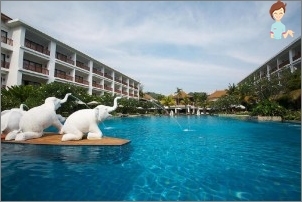 The hotel is located in Phuket, Next to the famous beaches of the island. It consists of 220 rooms, decorated in an elegant style. Service at a professional level, all according to the highest standard. Characterized by the hotel as quiet and calm. 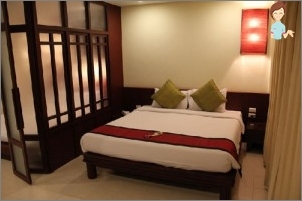 The rooms have modern and comfortable furniture, as well as everything you might need. There is a private garden and a swimming pool with sun loungers and umbrellas. For the entertaining part there is a wonderful restaurant The Jasmine Rice, a bar decorated in a modern style, a bistro cafe and a beach cafe. The beach is 50 m away. 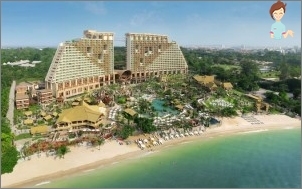 Located on the beautiful beach of Bang Tao,Which is famous as the most luxurious. Wonderful scenery surrounds the hotel. On one side are the green mountains, and on the other the clear blue sea. The hotel consists of 198 rooms, many of which are located around the fantastically beautiful pool area. Excellent for both privacy lovers and beaches of unique beauty, and for fans of fun nightlife. 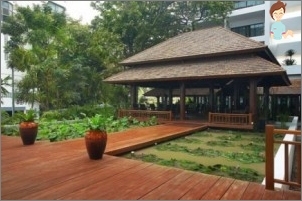 The hotel is surrounded by a luxurious tropical garden. To the center Pattaya - 3 km. 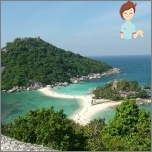 Who met the New Year in Thailand - reviews. 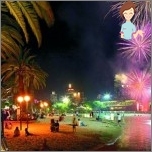 I have met the last New Year in Pattaya. On the roof of MarkLend. Us, in general, there were 10-15 people. Everything is excellent there, note, like everywhere else. The salute was just chic, the whole sky, everything sparkled. To the city fireworks, every hotel added its own. It was possible to read a book, so it was light from the lights. The first time in my life I've seen this, and even from the height of 27 floors. New Year in Thailand is something! Just do not describe in words! For this year we have already bought tickets, too, with my wife and I will fly together. Together we were not there yet. We have already celebrated the New Year three times in Tae. Have visited already, probably, wherever possible. 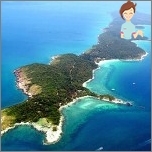 I liked very much in Phuket. Took off all night at the beach disco, then a few more bars went. In Pattaya, the sea did not like it, it's a bit muddy. Water constantly went somewhere for buoys and sea urchins everywhere. If you still are going to go to Thailand onNew Year's holidays, weigh for yourself all the pros and cons. For someone the minus that the weather is absolutely not New Year's, without snow and frost, for others it is, on the contrary, a big plus. In general, pluses, of course, more. But for this you need to leave behind all the problems, forget for a while about your everyday life and relax in a fabulous Thailand soul and body. In this case, you will want to return to this amazing country more than once. Journey to the New Year 2017 - where to celebrate New 2017 Year of the Rooster?